Experience the Ultimate Summer Vacation when you stay with Creekstone Inn. Start each day with a trip to the FREE Rise & Shine Breakfast Buffet and enjoy scrambled eggs, sausage, pancakes, and much more. Relax by the pool or reward yourself with some FREE river tubing! 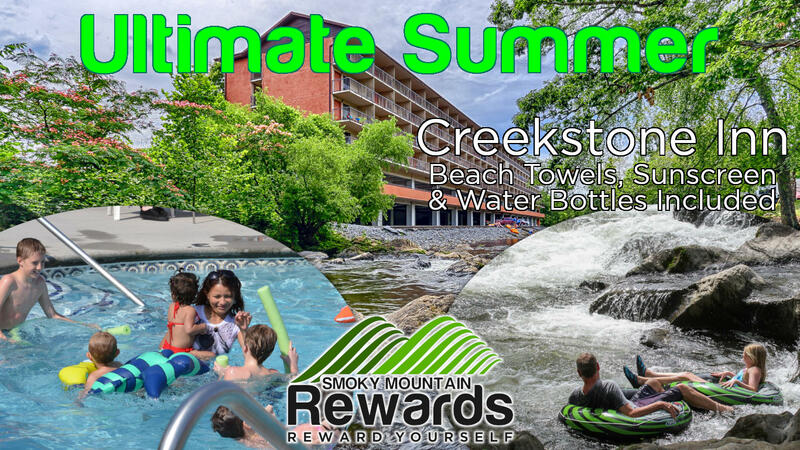 Choose the 'Ultimate Summer' package with any room from the Creekstone Tower or Rivers Landing. This special is bookable between October 20th, 2018 and September 7th, 2019 for stays May 12th, 2019 through September 8th, 2019.This special requires 1 day(s) advanced booking.